Planning and preparing for retirement can sometimes seem like climbing a huge mountain. There are more choices than ever, whether it’s the type of retirement account or the multitude of investment choices, and it can get confusing. This is usually the most complicated part of retirement planning, but it can also be the most critical. This is where you define your goal—your monetary target—and once you have it, it’s like sailing with a lighthouse in front of you. You’ll know where you need to go and once you do, getting there is that much easier. One of the problems with determining how much money you’ll need to retire is that the best you will come up with is an estimate. Since you’re planning decades into the future you can never know with absolute certainty how much you’ll be able to save, what your investment returns will be or how future events may affect the amount of money you’ll need. The best way to arrive at a reasonable estimate is by working a series of calculations that will determine the amount of money you’ll need to retire. 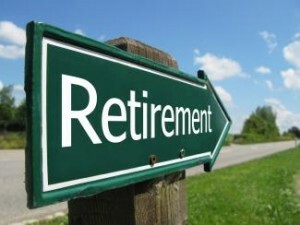 There are various factors that go into determining how much money you’ll need to retire that include your current income, projected inflation, estimated rate of return and safe withdrawal rate (the rate at which you can withdraw money from your retirement savings without depleting your investments before you die). You’ll need to work all of these factors into your retirement projections in order to come up with a reasonable estimate of how much you’ll need. There are more retirement plan options than ever before, and one to fit just about every income situation. 401K and 403B programs are usually the most generous for employees. Not only do they allow substantial contributions of tax deferred income (as well as tax deferred earnings), but they often have an employer match. That means that as you save for your retirement, you’re employer is contributing as well. Simplified Employee Pension Individual Retirement Arrangements (SEP IRA) are available for business owners and their employees, and are even more generous. For 2012, you can contribute up to $50,000, depending on your income. In addition, there are both traditional and Roth IRA’s (individual retirement accounts) that you can have in addition to other tax deferred retirement plans, though either the deductions or contributions may be limited based on your income. One part of retirement planning that does require some close investigation is transaction fees. Since maximum return is what’s needed to reach retirement goals, you’ll need to invest primarily in stocks, mutual funds and exchange traded funds. When you do this, however, you’ll incur transaction fees. This is especially true if you trade frequently. For this reason, if your retirement account is self-directed, you should look to work through an online discount stock broker. Not only will this enable you to keep your transaction costs to a minimum, but the online feature will enable you to trade your investments in your own time. That’s more important than ever since we’re more on the go than ever and may need to be executing investment trades from remote locations. Once you have all of the above in place, it’ll just be a matter of keeping your retirement plans well fed—and that means maximizing your contributions when ever possible. You won’t get anything more out of your retirement plans than you put into them, so do what you can to free up your income. This will be especially important when you’re in your 20’s and early 30’s—money invested early takes full advantage of the compounding of investment returns. That means more money at retirement, and less of an urgency to save up money in the years leading up to retirement. A reasonable retirement goal, the right retirement plan, and a good discount investment broker are the basic building blocks of sound retirement investment planning. Get those in place early, and you’ll figure out what ever else you’ll need as you move along.